Congratulations to the brilliant young people at Oakwood Academy who have just passed their Bronze Arts Awards! During the Winter Term 2017 Amy, Charlotte and Jen worked with a group of 9 learners at Oakwood Academy on a Bronze Arts Award project. We explored leadership using drama exercises. 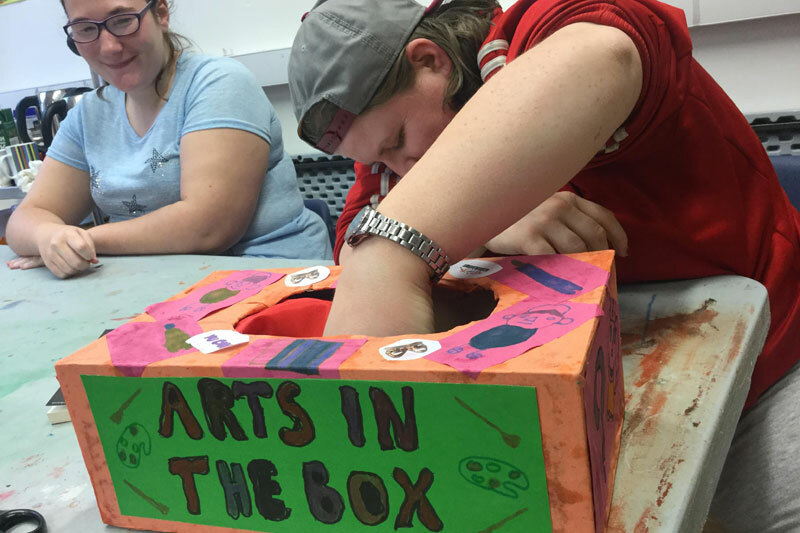 All of the young people led a game and shared their skills with each other and they created lovely boxes all about who inspires them in the arts. They all passed their Bronze Awards and the moderator was really impressed with their work.